Anyone who knows me, even just a little, knows that two of my absolute favourite things are tea and cake. 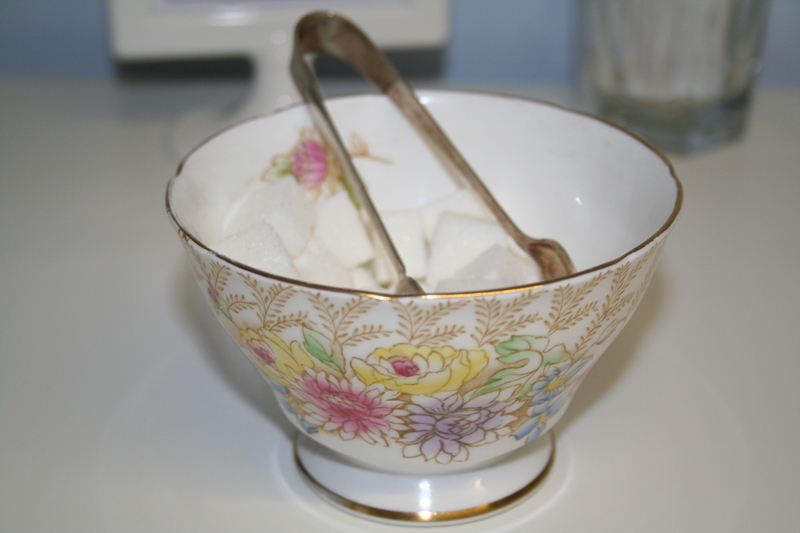 Preferably served in fine china teacups and with lots, and lots, of buttercream. So you can imagine my delight when, last weekend, I went out for afternoon tea and cakes, with a couple of friends, to The Cherry Blossom Bakery in Macclesfield. It is, in my opinion, what every good cake shop should be like; light, bright, and beautiful, with gorgeous cakes served from a wonderfully floral tea service. Perfect. All of these Etsy shops have plenty of other fabulous items so why not take a few mintues out – grab a tea – and have a browse? Tomorrow I’m going to blog my first ever How-To Tutorial! & it’s a really fun one! 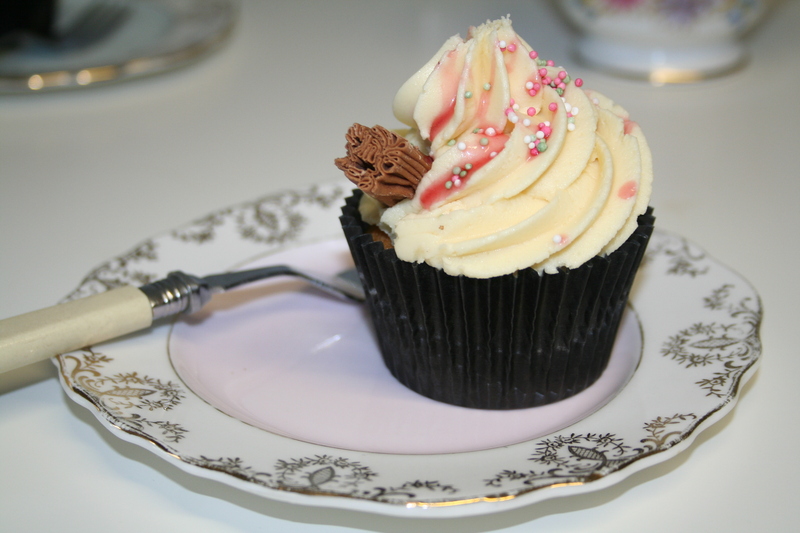 Thanks so much for featuring my rose cupcake wrappers. All of the items listed are so pretty. 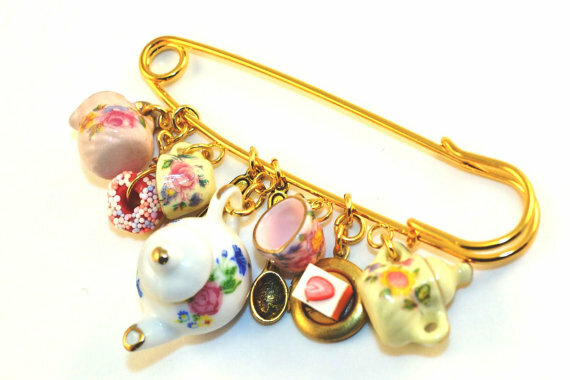 Tiny gift tags, notes, cups & saucers and beautiful pins! I would like one of each! Love your blog and will be back to see your tutorial! Everything is so pretty. And the best thing to go with tasty food is pretty things! I do love that pin, that’s really special. Thank you for sharing. Yes food & prettiness does go hand in hand! We’ll certainly be popping back in! Thanks for including our tea cup! That cake looks delicious. Tea and cake are always winners with me too! That tearoom looks a real gem of a place, I like the cake fork.